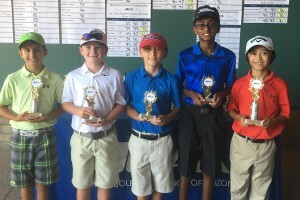 The Maricopa Junior Championship teed off July 26-27 at Southern Dunes Golf Club. 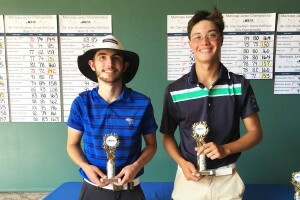 In the Boys Championship Division, John Menne of Surprise turned in a 1-over-par 73-72—145 performance to win by one stroke over Wade Klein of Gilbert (70-76—146). Tucson’s Nate Benjamin (73-75—148) tied for third place with Tyler Coxworth (72-76—148) of Sierra Vista at 4-over par, three strokes off the pace. 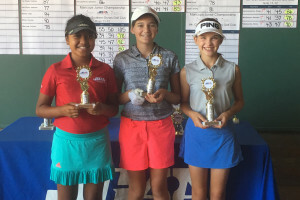 In the Girls Championship Division, Lauren Garcia of Gilbert cruised to a 3-stroke victory after firing 75 two days in a row to finish at 6-over-par 150 for the tournament. 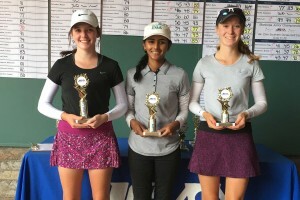 Sneha Yadav Scottsdale came in second place at 9-over par (81-72—153), and Goodyear’s Brooke Veres finished third (78-79—157). 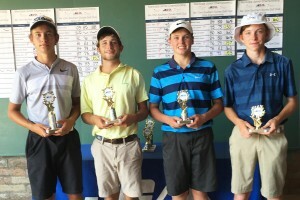 Jack Homer of Scottsdale won the Boys 15-18 Division at 2-under par (70-72—142). 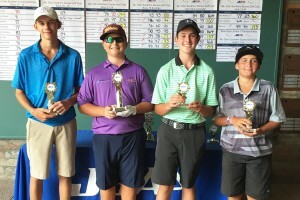 Johnnie Clark of Mesa won in the Boys 13-14 Division 74-70—144 (even par). 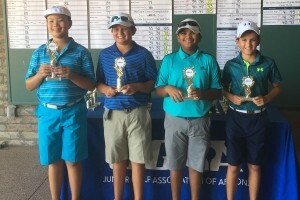 Kevin Chor of Chandler took top honors in the Boys 11-12 Division at 6-over par (39-39—78), and Derick Pedrosa from Goodyear won the Boys 10 and Under Division at 5-over par (39-38—77). 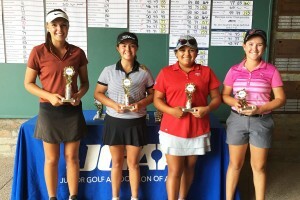 Brooke Beyer of Mesa won in the Girls 15-18 Division at 3-over par (74-73—147). 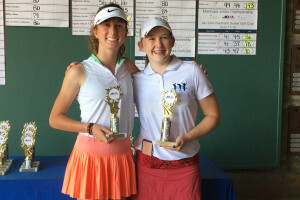 Mattison Frick of Peoria won the Girls 13-14 Division at 16-over par (77-83—160), and Brooke McGlasson of Peoria won the Girls 11-12 Division at 6-over par (41-37—78).